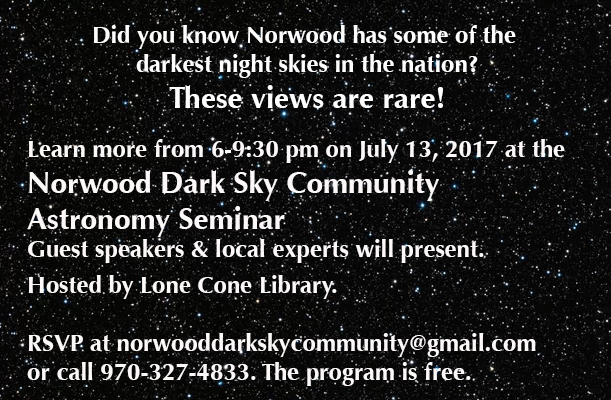 We are hosting an Astronomy Seminar and Community Potluck in collaboration with the Norwood Dark Sky Community. Join us Thursday, July 13 at 6 PM to learn about phenomenons of the galaxy and astronomical bodies that can be found with the naked eye! We will move outdoors after sunset to look through a telescope at the night sky. RSVPs are appreciated. Previous Post Sign up for Shoutbomb!